An Offshore Patrol Vessel (OPV) tenderer and teaming partners ASC Shipbuilding and Civmec/Forgacs have joined forces to announce a scholarship and vocational education program in support of the Australian government's plans for a continuous naval shipbuilding industry. From 2018, Lürssen Australia and its SEA 1180 OPV teaming partners will call for scholarships from undergraduates in relevant engineering, marine architecture and design courses, as well as apprentices and tradespeople undertaking TAFE qualifications under its SEA scholarship program. The scholarship program will include workplace placements win Australia and Europe for selected scholarship recipients with Lürssen, ASC Shipbuilding and Forgacs to develop professional experience. The program is designed to support the OPV’s workforce skilling requirements, should Lürssen, ASC Shipbuilding and Forgacs prove successful in the OPV tender. Lürssen and its Australian partners anticipate the program will complement the government’s Naval Shipbuilding College initiative. Lürssen Defence managing director Dirk Malgowski said the German shipbuilder was excited for the opportunity to assist in developing a highly skilled local workforce. "With our partners in the Offshore Patrol Vessel program, Lürssen is dedicated to ensuring young Australians can learn a range of skills to set them up for a satisfying and rewarding life-long career," Malgowski said. "I have no doubt Australia can build a world-class workforce that can assist Lürssen, our partners – indeed every shipbuilder looking to hire – in taking advantage of the government’s national shipbuilding endeavor." ASC Shipbuilding's chief executive Mark Lamarre said the new program will build on the South Australian company's existing commitments to building a skills base that will ensure Australia can become an export hub for shipbuilding. "ASC Shipbuilding is engaged in ensuring Australia can sustain a future naval shipbuilding industry that will offer fresh opportunities for school-leavers and others wishing to embark on an exciting career in shipbuilding," Lamarre said. "This initiative will build on, and complement, our existing collaborations with South Australian universities, graduate and school-based programs." Managing director of Forgacs Marine and Defence Mike Deeks said with 10 of the 12 OPVs to be built at Henderson in Western Australia – and with Lürssen already collaborating to establish an export hub for minor warship vessels in Australia – WA stands to reap generational rewards from this program. "We want to see hundreds – if not thousands – of Australians employed over coming years in what I believe will become a significant job creator, not just in Western Australia and South Australia but right across the nation," Deeks said. Lürssen is competing against Dutch company Damen, which has also teamed with ASC and Forgacs for its bid, and AustalFassmer for the $3 billion project. 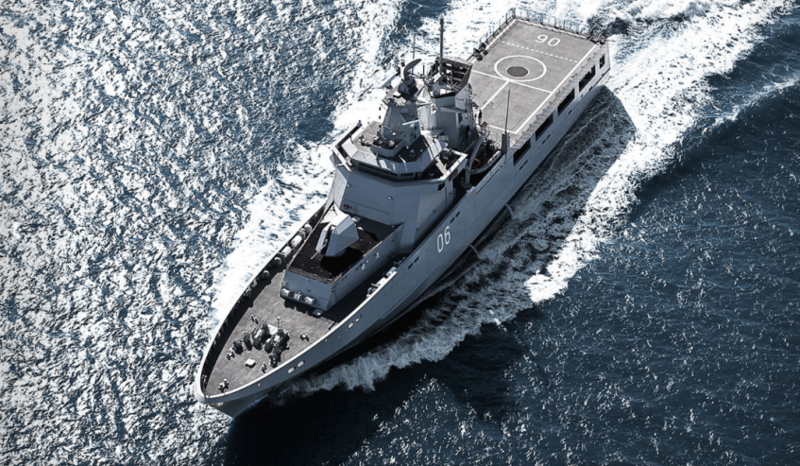 Malgowski told Defence Connect regardless of whether the German company is successful in its OPV bid, it is committed to its investment in Australia. "Obviously if we have no role to play in the OPV build we will need to reconsider what our presence here looks like over the longer term, but I would say that we’ve already invested in Australia with no certainty that that we will be the successful tenderer, including opening an office in WA," he said.